Just enter your zip code, and find our recommended grass seed mixture or blend for your planting site. Select your desired grass seed varieties, and we will create a custom grass seed mixture to your specification. Browse through our large selection of superior grass seed varieties and Fertilizers to give you the perfect lawn. Free Ground Delivery On Every Order. Order by noon (Eastern), get same day shipment. 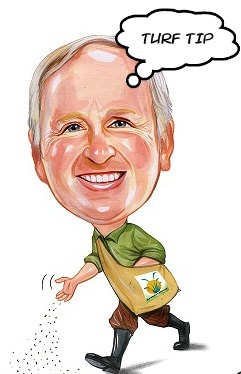 Plant breeders produce improved varieties, improved varieties produce a better lawn. 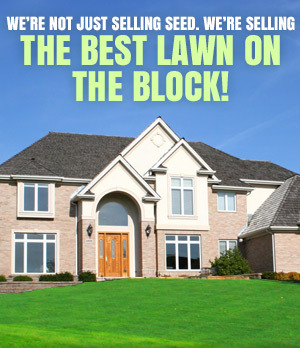 The certified seed varieties, mixtures, and blends we sell are your assurance of a superior lawn that will beautify your property for years and years to come. 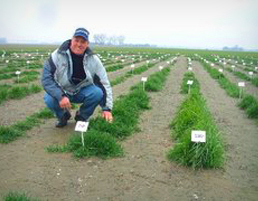 Through the science of conventional plant breeding, turfgrass breeders select individual grass plants for quality, color, density, resistance to diseases and insects, tolerance to heat, cold and much more. After years of selection and natural cross breeding of the strongest and most attractive plants, the new seed variety is examined by two independent expert panels to verify 1) uniformity, 2) uniqueness, 3) stability, and 4) eligibility for seed certification. Remember, inferior turfgrass seed will never produce a superior lawn no matter how much time, effort and money you invest after planting. Although early fall is generally the recommended time to plant seed, April is the second best time to plant cool season grasses north of the Mason-Dixon Line. The only limitation is overseeding an existing lawn on which pre-emergent crabgrass herbicide has been applied. In that case you must wait until the following fall to plant turfgrass seed. Follow the instructions for planting a new lawn or renovating an existing lawn found under the "Ask the Expert" tab above. Please don't skip any steps. Every time you do, you increase the possibility of a seeding failure.